A recession will hit the US economy next year, warns David Vickers, multi-asset portfolio manager at Russell Investments. And for many US investors, this will come as a nasty shock. While in Europe the current bull market is described as the most hated in history, across the pond, investors are much more euphoric. European investors – who had to deal with the European debt crisis following the global financial crash – are always on the hunt for the next bear market. “But in the US they didn’t have the European crisis," explains Vickers. "They’ve had even stronger markets over the last nine years so there’s very positive sentiment and investors get sucked in." According to Vickers, that euphoria has led to some US investors claiming multi-asset portfolio diversification is not necessary, because equities have performed so well. “The more I hear comments like that the more my alarm bells start ringing,” he warns. 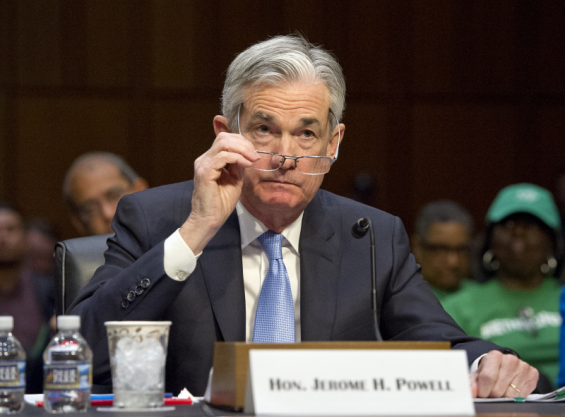 The economists predicting the possibility of a recession on the horizon in recent months are "being somewhat ignored” due to their perceived inherent pessimism. “The quote is that economists called 10 out of the last three recessions,” Vickers continues. Many will continue to point to continued strong, synchronised global growth and say that nothing fundamentally changed after the recent pull back in equity markets. But Vickers notes there are dark clouds on the horizon: interest rate rises. Monetary tightening is well under way in the States. If inflation shows signs of accelerating faster than currently anticipated, we could very well get four interest rate rises from the US Federal Reserve this year. And a couple more in 2019 are likely to follow. This will likely have the impact of choking economic growth, as borrowing costs will increase and disposable income will be reduced. Add to that the fact that in the US, household savings are currently at historically low levels, and consumer spending will be stifled. In economics, R* is the equilibrium real short-term interest rate in an environment of full employment and stable inflation. Over the last three cycles, Russell Investments’ data show, the R* has steadily declined over the last three cycles since the 1980s. When interest rates are below R*, monetary policy is in expansionary territory, and vice versa. R* is currently 2.4% in nominal terms. The Fed Funds Rate is currently well below that at 1.25% but forecast rises could reverse that. “If we see too many interest rate rises, at the back end of next year people will start to sniff out recessionary probabilities picking up,” continues Vickers. Are Bond Yields Forecasting Global Recession? At What Level to Bond Yields Cause Stock Problems? Will European Bonds Follow US Yields Higher?